Dr. Ansari attended Rutgers University for her undergraduate training & graduated with a Bachelor of Science degree with honors. She then attended the University of Medicine and Dentistry of New Jersey, where she earned her Doctor of Dental Medicine degree. She further continued her training by attending Robert Wood Johnson University Hospital to complete a General Practice Residency. She is a member of the Middlesex County Dental Association, the New Jersey Dental Association, the American Dental Association & the Academy of General Dentistry. 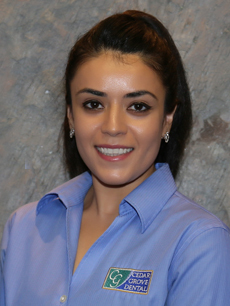 Dr. Ansari is very enthusiastic about her career & loves interacting with patients. She enjoys spending time with family & friends, & traveling to new places.